Across the Straits audio download aims to improve the listening skills of intermediate and advanced students of Chinese. The audio corresponds with pre-listening, listening, and post-listening activities in the student book and contains 22 recordings of unscripted conversations between a speaker from Taiwan and one from Mainland China. The dialogues cover a variety of topics introducing students to social and cultural issues in Taiwan, mainland China, and the U.S. as well as linguistic differences between regions. 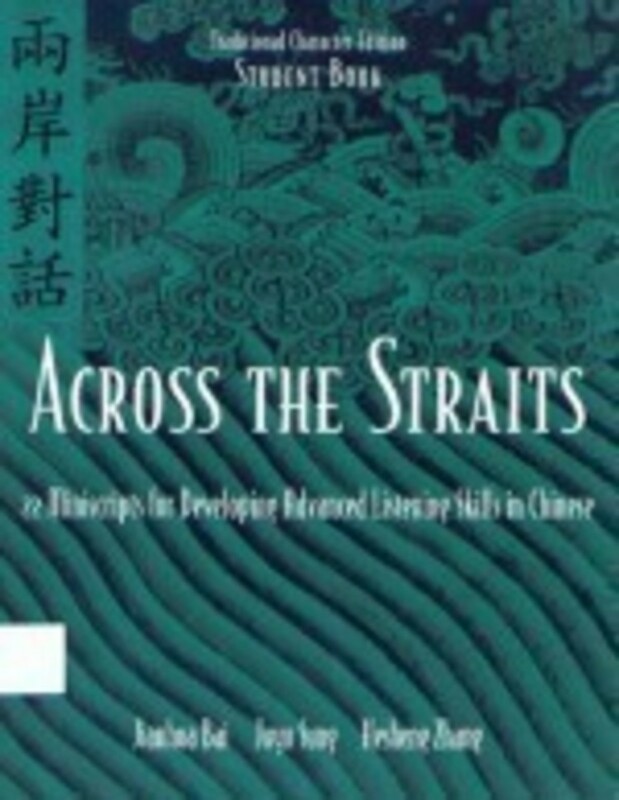 Across the Straits can be used by itself or in conjunction with any of Cheng & Tsui’s intermediate Chinese textbooks. The audio download includes a total of 160 minutes. A transcript of the audio portion (with traditional and simplified characters) is available separately. FILL OUT THE FORM BELOW TO DOWNLOAD YOUR AUDIO RESOURCES. Turn to page 62 in your book. Fill in the blank based on the English translation of example 2.3: "The price of ___ is much cheaper now!"